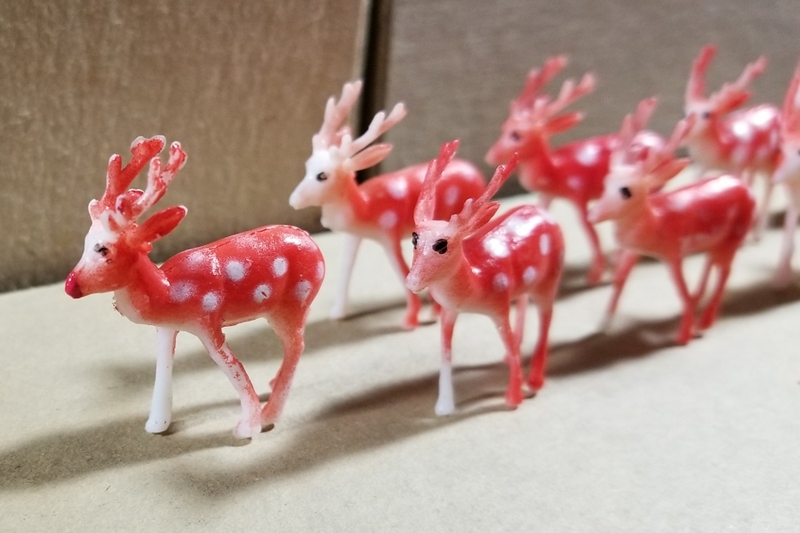 and, of course, Rudolph, too! 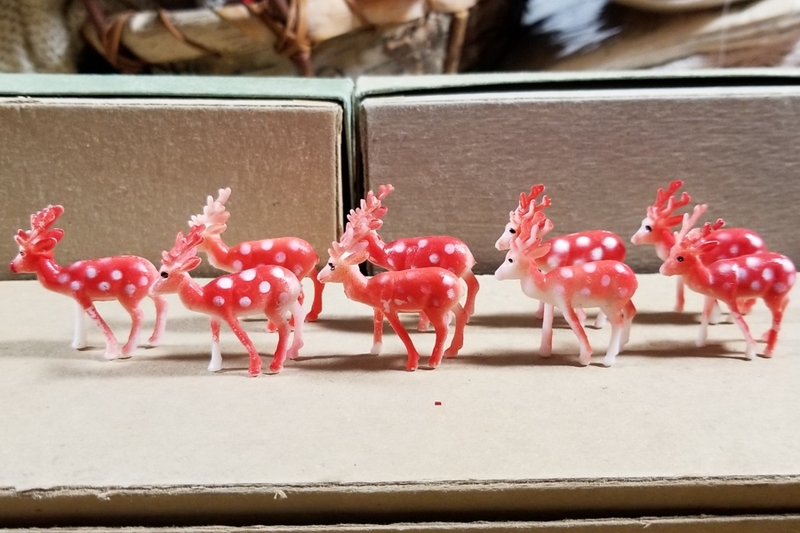 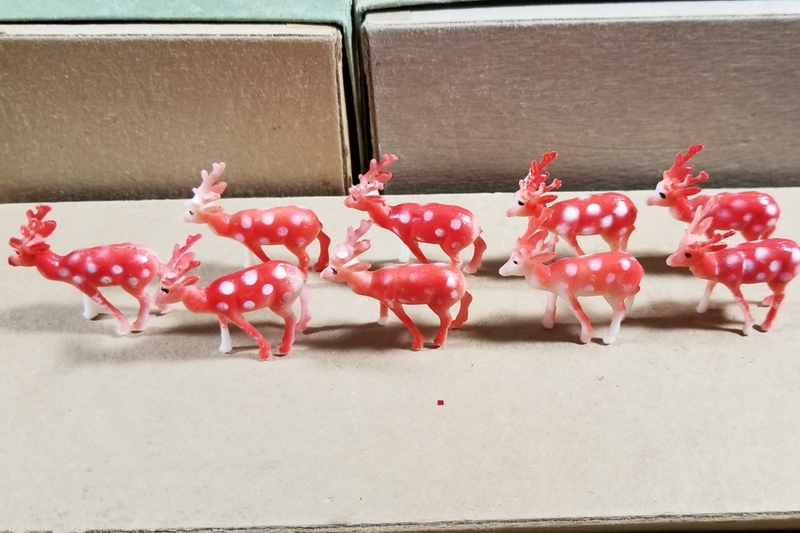 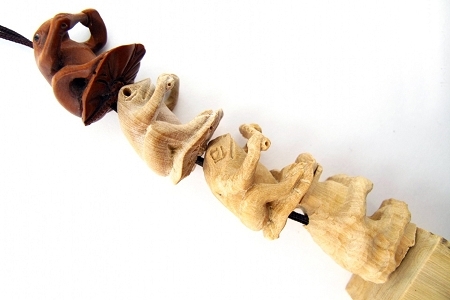 Each little fellow measures only 1-1/4 inch from tail to nose; 1-3/8 inch from foot to antler tip; 5/16 inch wide from body side to side; and 7/16 from antler to antler. 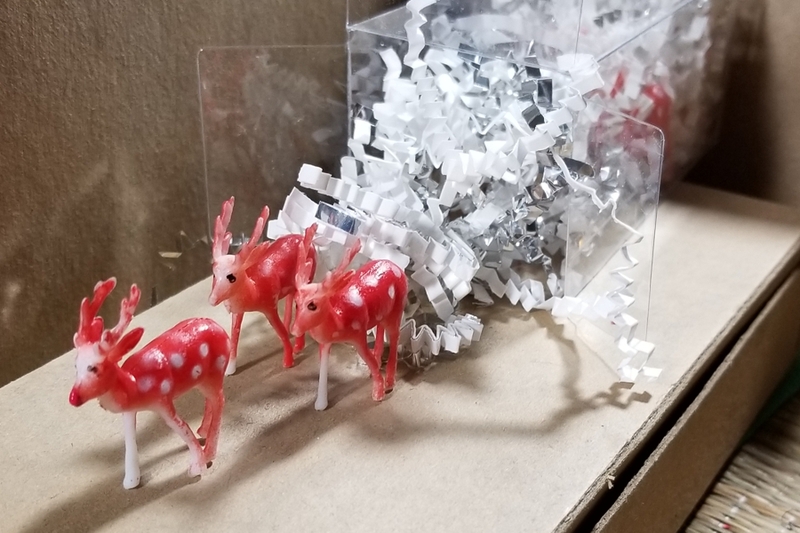 We've altered these little guys to make them different and of course we just had to help Rudolph light up his lovely nose! 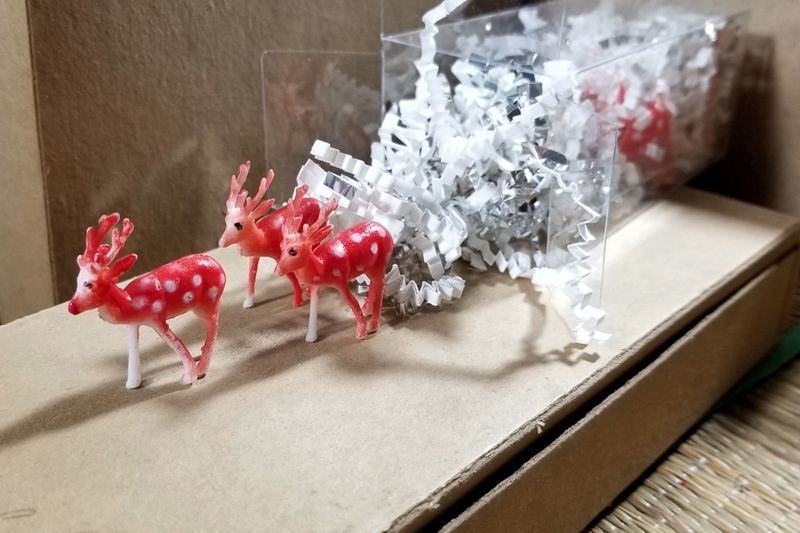 The gang is packaged together in a clear box with silvery and white shredded snow, this little set makes a great little gift for any Christmas collector, any time of year.